The Midwest is taking the lead in a unique partnership of a dozen workforce development boards working in tandem to drive economic growth in the region. In July, workforce leaders from 12 Midwest cities convened in Milwaukee, Wisconsin to sign an agreement creating the Midwest Urban Strategies Consortium, the first partnership of its kind in the country. Employ Milwaukee is the administrative lead of the consortium, working with workforce development boards in Chicago, Illinois; Cincinnati, Ohio; Cleveland, Ohio; Columbus, Ohio; Detroit, Michigan; Gary, Indiana; Indianapolis, Indiana; Kansas City, Missouri; Minneapolis, Minnesota; St. Louis, Missouri; and Wichita, Kansas. The U.S. Department of Labor is also an active member, providing technical assistance and guidance on national and regional workforce priorities. The signing of the consortium agreement formalizes collaboration that has been taking place since 2015. Through the agreement, consortium members share resources and funding and leverage each other’s strengths. Midwest Urban Strategies was formed to: create a community of practice among the members who share a lot of the same challenges related to urban settings; provide the collective impact needed to revitalize the Midwest economy; and maximize federal, state, and local funds and effort. Workforce leaders from 12 Midwest cities convened in Milwaukee to sign an agreement creating the Midwest Urban Strategies Consortium. The urban focus of the member workforce development boards contributes to the partnership’s synergy. “Even though we’re in different cities and we’re organized in different ways, we all face the same kinds of issues. So, it gives us the space to learn together from other experiences,” said Carey. Last summer, when the city of Milwaukee experienced an outbreak of violence in one of its neighborhoods, the city reached out to Detroit and St. Louis to hear about how they worked to address similar issues in their communities and then adopted some of those practices. The goal of this model is to build regional talent pools and to meet the workforce needs of whole industries. 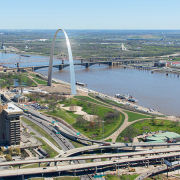 “We’re working to create parity in training; allowing people who want to move from Milwaukee to St. Louis, for example, to be able to secure credentials that are portable and lend themselves to employment throughout the Midwest region. And, we are developing a regional employer network that helps us do a better job of meeting employer needs,” said Carey. The Department of Labor has funded three of the consortium’s initiatives. Additionally, the group is leveraging other public, private and philanthropic funding. JPMorgan Chase is providing resources to shore up capacity, aid in intra-city communication and coordination, and bring training and technical assistance to enhance sector-based partnerships with employers. For more information on Midwest Urban Strategies, contact Tracey Carey by email at tracey.carey@midwesturbanstrategies.com.